Is it not fortunate that this Humane Society undercover investigation was not conducted in Maryland! If so, apparently they would have been sued for exposing this corruption by Maryland.....or would they? The basics of this investigation and subsequent federal fallout are what one would rationally expect (like a prompt Justice department investigation!) from the current ACORN undercover investigation in the Great United States of America -- appropriate outrage (from those who actually didn't have a clue, and psuedo-outrage from those who kind of had a clue all along). Instead, the quality, the source, of the beef your children eat for their school lunch is of greater importance. The fallout of the ACORN undercover investigation leaves those youngsters with a Maryland lawsuit for their efforts, malignment and questioning of authenticity by CNN and Network news media, and a much ignored piggy-backed Congressional investigation of these two young people courtesy of the likes of Barney Frank-- Gee, let's all thank BLarney Frank for that, and absolutely hold him accountable. The footage by an undercover Humane Society investigator hired as a pen worker showed downer cows being beaten, shocked, sprayed with high-pressure hoses, dragged with chains and rammed with a forklift, all apparently so they would walk into the "kill box." A subsequent recall included some 143 million pounds of beef from the plant, though much of the meat had already been eaten by schoolchildren. In April 2008, the Department of Agriculture told owners of Westland/Hallmark that they were financially liable for $67.2 million in costs associated with the recall. Westland/Hallmark's president Steve Mendell told lawmakers in a congressional hearing that the plant had rules prohibiting the slaughter of downers. Mendell said he was unaware of such activity at Westland/Hallmark until he saw the video footage. But the federal lawsuit says Westland/Hallmark gained its government contracts by fraud because it knew all along that it had falsely claimed compliance with government regulation (gee, that sounds like ACORN)s that forbid processing downer cattle. Here again is found, from research and observation over 150 YEARS AGO, that the Chillingham herd of Park Cattle were not true 'wild cattle', and certainly not considered by rational educated people as the only remaining genetic link to the ancient aurochs of the British Isles. Further, it is documented here that the Chillingham cattle produced black and white offspring (Significant as modern texts perpetuate the falsity that the horned Park cattle only produce solid black calves occasionally, an absurd mythical notion.) that were regularly destroyed in the early 1800's, and undoubtedly for many decades prior. Many old texts provide ample evidence of the absurdity perpetuated by the Rare Breeds Survival Trust and the Chillingham Wild Cattle Association that these cattle are genetically distinct from all other cattle. What continues to be even more amazing to me is the continued stance of the White Park Cattle Society of the United Kingdom that their 'horned' Park Cattle are genetically distinct from the polled Park Cattle registered with the British White Cattle Society of the UK, and are "the most ancient breed of cattle native to the British Isles". The only supportable statement as to the antiquity of both the polled and horned Park Cattle is the breed is undoubtedly "the most fabled and storied ancient breed of cattle native to the British Isles." If ever there was an example of a concerted effort to change history to suit the purposes of political and social goals, it is the long history of the 200 year old argument with the owners of the Chillingham Cattle and every sound impartial review and research of the facts of this breed's history. Perhaps if we could make inquiry of one of Chillingham Castle's infamous ghosts, we could be rid of the fanciful notions regarding the wild white cattle of Chillingham. Who knows, maybe one of those howling frights is merely trying to set the record straight on the history of the cattle and tattle about all the black and white calves mercilessly slaughtered in the name of purity and maintaining myth for hundreds of years. Considerable interest has always been connected with the history of those herds of white cattle which have been kept secluded, apparently from time immemorial, in the parks of some of our aristocracy. [D] It has been, and still is,[Pg 141] a matter of lordly pride to their noble owners, that these cattle are held to be of a distinct and untameable race. Feeling a full share of the interest attached to them, and anxious to gain the most accurate and circumstantial information, I was induced to pay a visit, during the summer of 1845, to the beautifully wooded and undulating Park of Chillingham, in which a herd of these cattle is preserved; and, although I have not been able to gather material for a perfect history of these animals, I think it will not be difficult to show that matters respecting them have been set forth as facts which are fictions; and that from some points of their history which have been correctly detailed, inferences have been drawn, which are by no means warranted by the facts. 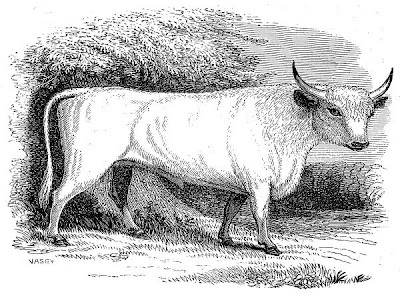 In endeavouring to point out these errors and false reasonings, it will be necessary to make quotations from the old history of the white cattle, in Culley's 'Observations on Live Stock,' which has been so often repeated in works on natural history, and is, moreover, so thoroughly accredited, that it may now appear something like presumption to call it in question. To what extent it is called in question on the present occasion, and the reasons for so doing, will be seen in the running commentary which accompanies these quotations. Culley says: "The Wild Breed, from being untameable,[Pg 142] can only be kept within walls or good fences; consequently very few of them are now to be met with, except in the parks of some gentlemen, who keep them for ornament, and as a curiosity: those I have seen are at Chillingham Castle, in Northumberland, a seat belonging to the Earl of Tankerville." The statement of their being untameable is a mere assertion, founded upon no evidence whatever. But so far is it from being the fact, that, notwithstanding every means are used to preserve their wildness, such as allowing them to range in an extensive park—seldom intruding upon them—hunting and shooting them now and then—notwithstanding these means are taken to preserve their wildness, they are even now so far domesticated as voluntarily to present themselves every winter, at a place prepared for them, for the purpose of being fed. From which it may reasonably be concluded, that were they restricted in their pasture, gradually familiarised with the presence of human beings, and in every other respect treated as ordinary cattle, they would, in the course of two or three generations, be equally tame and tractable. Whilst writing the foregoing I was not aware that any attempt had been made to domesticate these so-called untameable oxen; but on reading an account of these cattle by Mr. Hindmarsh, of Newcastle-upon-Tyne, (bearing date about 1837,) I find the following paragraph. "By taking the calves at a very early age, and treating them gently, the present keeper succeeded in domesticating an ox and a cow. They became as tame as domestic animals, and the ox fed as rapidly as a short-horned steer. He lived eighteen years, and when at his best was computed at 8 cwt. 14 lbs. The cow only lived five or six years. She[Pg 143] gave little milk, but the quality was rich. She was crossed by a country bull, but her progeny very closely resembled herself, being entirely white, excepting the ears, which were brown, and the legs, which were mottled." These facts speak for themselves. Culley, in giving their distinguishing characteristics, says: "Their colour is invariably of a creamy white; muzzle black; the whole of the inside of the ear, and about one third of the outside, from the tips downwards, red; horns white, with black tips, very fine, and bent upwards; some of the bulls have a thin upright mane, about an inch and a half, or two inches long." That their colour is invariably white is simply owing to the care that is taken to destroy all the calves that are born of a different description. It is pretty well known to the farmers about Chillingham (although pains are taken to conceal the fact,) that the wild cows in the park not unfrequently drop calves variously spotted. With respect to the redness of the ears, this is by no means an invariable character, many young ones having been produced without that distinctive mark; and Bewick records, that about twenty years before he wrote, there existed a few in the herd with black ears, but they were destroyed. So far from the character here given of the horns being confined to those white cattle, it is precisely the description of the horns of the Kyloe oxen, or black cattle. 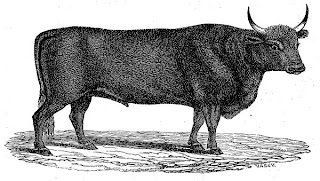 The investiture of some of the bulls with a mane is equally gratuitous; Cole, who was park-keeper for more than forty years, and of course had ample means of observation, distinctly informed me that they had no mane, but only some curly hair, about the neck, which is likewise an attribute of the Kyloe Oxen (pictured here) . Culley goes on to say: "From the nature of their pasture, and the frequent agitation they are put into by the curiosity of strangers, it is scarce to be expected that they should get very fat; yet the six years old oxen are generally very good beef, from whence it may be fairly supposed, that in proper situations they would feed well." It would naturally be inferred from this, that the park in which they are kept is visited by strangers every day, who are allowed to drive them about, and disturb them in their feeding and ruminating, as boys hunt geese or donkeys on a common. This, however, is so far from being the case, that it frequently happens that the park is not visited for many weeks in succession, and certainly on an average it is not visited once a week. What is here meant by "the nature of their pasture," and "in proper situations they would feed well," it is difficult to say. The fact is, their pasture is both good and extensive, and they feed as well as animals always do who are left to themselves with plenty of food. Their behaviour to strangers is thus described: "At the first appearance of any person, they set off at full speed, and gallop a considerable distance, when they make a wheel round, and come boldly up again, tossing their heads in a menacing manner; on a sudden, they make a full stop, at a distance of forty or fifty yards, looking wildly at the object of their surprise; but upon the least motion being made, they turn round again, and gallop off with equal speed; but forming a shorter circle, and, returning with a bolder and more threatening aspect, they approach much nearer, when they make another stand, and again gallop off. This they do several times, shortening[Pg 145] their distance, and approaching nearer, till they come within a few yards, when most people think it prudent to leave them." In the instance in which I had an opportunity of witnessing their method of receiving visitors, the fashion was somewhat different. The park-keeper who accompanied me described, as we rode through the park in quest of them, what would be their mode of procedure on our approach. This he did from observations so repeatedly made, as to warrant him in saying that it was their invariable mode. It was perfectly simple, and I found it precisely as he had described it. When we came in sight of them, they were tranquilly ruminating under a clump of shady trees, some of the herd standing, others lying. On their first observing us, those that were lying rose up, and they all then began to move slowly away, not exactly to a greater distance from us, but in the direction of a thickly wooded part of the park, which was as distant on our left as the herd was on our right. To reach this wooded part they had to pass over some elevated ground. They continued to walk at a gradually accelerating pace, till they gained the most elevated part, when they broke out into a trot, then into a canter, which at last gave way to a full gallop, a sort of "devil-take-the-hindmost" race, by which they speedily buried themselves in the thickest recesses of the wood. What they may have done in Mr. Culley's time, we must take upon that gentleman's word; but at present, and for so long as the present park-keeper can recollect, they have never been in the habit of describing those curious concentric circles of which Mr. Culley makes mention in the last quotation. The late mode of killing them is described as "perhaps[Pg 146] the only modern remains of the grandeur of ancient hunting. On notice being given, that a wild bull would be killed on a certain day, the inhabitants of the neighbourhood came mounted and armed with guns, . . sometimes to the amount of a hundred horse, and four or five hundred foot, who stood upon walls or got into trees, while the horsemen rode off the bull from the rest of the herd until he stood at bay, when a marksman dismounted and shot. At some of these huntings twenty or thirty shots have been fired before he was subdued. On these occasions the bleeding victim grew desperately furious, from the smarting of his wounds, and the shouts of savage joy that were echoing from every side. But from the number of accidents that happened, this dangerous mode has been little practised of late years, the park-keeper alone generally shooting them with a rifled gun at one shot." This vivid portraiture of a scene, which the writer is pleased to consider grand, does not appear to have much relation to the history of the Genus Bos: it however, exhibits the brutal and ferocious habits of two varieties of Genus Homo, namely Nobility and Mobility—two varieties which, although distinguished by some external marks of difference, possess in common many questionable characteristics. Culley proceeds:—"When the cows calve, they hide their calves for a week or ten days in some sequestered situation, and go and suckle them two or three times a day. If any person come near the calves, they clap their heads close to the ground, and lie like a hare in form, to hide themselves; this is a proof of their native wildness, and is corroborated by the following circumstance[Pg 147] that happened to Mr. Bailey, of Chillingham, who found a hidden calf, two days old, very lean and very weak. On stroking its head it got up, pawed two or three times like an old bull, bellowed very loud, stepped back a few steps, and bolted at his legs with all its force; it then began to paw again, bellowed, stepped back, and bolted as before; but knowing its intention, and stepping aside, it missed him, fell, and was so very weak that it could not rise, though it made several efforts. But it had done enough: the whole herd were alarmed, and, coming to its rescue, obliged him to retire; for the dams will allow no person to touch their calves without attacking them with impetuous ferocity." It seems almost unnecessary to remind the reader that all animals are naturally wild; and that even those animals that have been the longest under the dominion of man, are born with a strong tendency to the wild state, to which they would immediately resort, if left to themselves: it appears, therefore, rather gratuitous to tell us that the natural actions of young animals (whose parents have been allowed to run wild), are proofs of their native wildness! 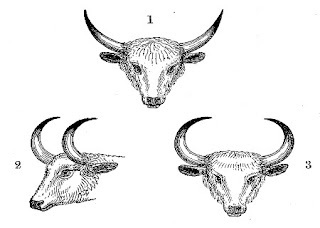 The following engraving exhibits the effects of castration on the curvature and length of the horns. 1. Head of the perfect animal. 2, 3. Heads of the emasculated animal. We learn, on the authority of the present Lord Tankerville, that during the early part of the life-time of his father, the bulls in the herd had been reduced to three; two of them fought and killed each other, and the third was discovered to be impotent; so that the means of preserving the breed depended on the accident of some of the cows producing a bull calf. List of the Queries with their Answers. 1. How many pairs of ribs are there in the skeleton of the Chillingham Ox? Thirteen pairs. 2. How many vertebræ are there (from the skull to the end of the tail)? Thirty in the back-bone, twenty in the tail. 3. Will the wild cattle breed with the domestic cattle? I have had two calves from a wild bull and common cow. 4. What is the precise time the wild cow goes with young? The same as the domestic cow. 5. At what age does the curly hair appear which constitutes the mane of the wild bull? They have no mane, but curly hair on their neck and head; more so in winter, when the hair is long. 6. In what month does the rutting take place among the wild cattle? At all times,—no particular time. Here we have precise information on the following points:—namely, the number of ribs; the period of gestation; their having no mane; their not being in heat at any particular period; in all which points, they perfectly agree with the ordinary domestic cattle; and it is important to observe, that in the last point, namely, that of not being in heat at any particular time, they differ from every known wild species of cattle, among which the rutting season invariably occurs at a particular period of the year. [D] Formerly these cattle were much more numerous, both in England and Scotland, than they are at present. Scanty herds are still preserved at the following places:—Chillingham Park, Northumberland; Wollaton, Nottinghamshire; Gisburne, in Craven, Yorkshire; Lime-hall, Cheshire; Chartley, Staffordshire; and Cadzow Forest, at Hamilton, Lanarkshire. At Gisburne they are perfectly white, except the inside of their ears, which are brown. From Garner's 'Natural History of Staffordshire,' we learn that the Wild Ox formerly roamed over Needwood Forest, and in the thirteenth century, William de Farrarus caused the park of Chartley to be separated from the forest, and the turf of this extensive enclosure still remains almost in its primitive state. Here a herd of wild cattle has been preserved down to the present day, and they retain their wild characteristics like those at Chillingham. They are cream-coloured, with black muzzles and ears; their fine sharp horns are also tipped with black. They are not easily approached, but are harmless, unless molested. There is a really nice ancient fairy tale, The Magical Welsh White Cow, which relates the legend of the origin of Welsh Black cattle. The notion sort of seems fantastical and magical that a white cow took herself away and her only remaining offspring forever turned black -- "Whereupon not only did the elfin cow arise and go home, but all her progeny to the third and fourth generations went home with her, disappearing in the air over the hill tops and returning nevermore. Only one cow remained of all the farmer's herds, and she had turned from milky white to raven black..."
But however magical the notion, I've long theorized it was a story based on actual history. The following exerpts from old texts well supports an historical basis for the old story. Breeders should also note that in the description the White Welsh had black spots, and that the old Dynevor herd was considered to be White Welsh cattle. "The ancient white breed of the Principality has been rehabilitated by selecting and mating together those specimens of the South Wales breed which have "thrown back " in the matter of colour to their forest ancestors. In every other respect they are distinctly Pembroke cattle. Their colour is chiefly white, but there are frequently black spots over the body. The muzzles, ears, and eyelashes are black, and the feet and fetlocks should also be black. Charles Mathias, of Lamphey Court, to whom the Welsh originals of Plates X. and XLIII. belong, has raised this off-shoot of the South Wales breed to a position of importance." "The difficulty of procuring at all times stud bulls good enough to keep up the standard of a small number of cattle is got over by the use of a choice black bull when a white is not available. A large proportion of his progeny take after the mothers in being white with black points, and those that are born black are transferred to the black cattle herd." "R. H. Harvey (i S74) says: "The late Lord Dynevor had some very fine specimens of the white breed near Llandeilo, and I have often admired the five-year-old oxen as I have passed the park." For Professor David Low's beautifully illustrated book on The Domesticated Animals of the British Isles, published in 1842, was selected a Pembrokeshire "cow eight years old," from Haverfordwest, to represent the type of the Wild Forest breed. The painting of the animal is among the collection of original oil paintings which were used by him to illustrate the book, and which now adorn the walls of the Agriculture Department of Edinburgh University." Lots of emails are sent round to everyone these days. A friend of mine sent this one on to me and while it's likely that many have seen it already, I thought it was worth a permanent spot in my blog. It's like that with people. We look at someone, maybe even ourselves, and we see the external clay vessel. It doesn't look like much from the outside. It isn't always beautiful or sparkling, so we discount it. We see that person as less important than someone more beautiful or stylish or well known or wealthy. But we have not taken the time to find the treasure hidden inside that person. There is a treasure in each and every one of us. If we take the time to get to know that person, and if we ask our Higher Power to show us that person the way He sees them, then the clay begins to peel away and the brilliant gem begins to shine forth. The following is an excerpt form an article focused on a variety of folks raising vegetables, eggs, pork (and you really should follow the link and read about MRS. PORK!) and beef. What was of most interest to me is the reason O'Neill (Mr. Beef) set about finding a niche buyer for his rare British White beef. Just as they often are here in the USA, his white calves were treated poorly at the local market. Rather than continue to bear that economic hit, he found a niche for his rare beef. Unfortunately, that is not as easy to do in many regions of the USA. The numbers of beef processing plants are declining, and it's rare to find one in a rural area in my part of the world that can bear the economic burden of either Texas' or the USDA's Inspection requirements. So, I can't sell my British White beef to local restaurants unless I haul my calves quite a distance, and haul that beef all the way back. Hauling calves more than 3 hours to slaughter is not even acceptable in many specialty boutique/certified beef programs. MICHAEL O'Neill didn't start farming to make money. He bought a herd of British White cattle to save the breed. British Whites were once common in England; now there are only 1500 registered breeding cows in Britain and about 400 in Australia. With their white coats, black noses and long black eyelashes, the beautiful animals stand out on the green hill that dominates O'Neill's farm in Musk, central Victoria. But saving a breed means having enough for genetic diversity. "They are not pets," says O'Neill, who has an off-farm income as an interior designer. "They have to pay their way, and that, unfortunately, means we have to slaughter some of the steers for meat." O'Neill sent his steers to market, where they were sold as a nondescript breed at a disappointingly low price. But he decided that his beautiful white cows were not going to "meet the indignant end as a pile of pink mince on a black supermarket meat tray". He bought more land from the retired farmer across the road, increased the size of his herd, and sells beef to top restaurants, such as the Lake House in Daylesford, and through farmers' markets. The meat is very good, with rich, complex flavours and wonderfully tasty fat. O'Neill says he is no mere hobby farmer. "I am saving a breed; I am growing exceptional beef; I am using quality farmland productively. If this was Europe, no one would be questioning what I do." He has a matter-of-fact attitude to eating animals he has known. "How could you eat an animal you didn't know?" he says. "With all the rubbish they feed animals and the appalling way many animals are treated, I am quite comfortable to eat meat that has come from an animal that has been well treated until the end." But he still regrets having to send "the boys" to slaughter. "I went with them to the sale yards once," he says. "They had been on a strange truck trip and were in a pen surrounded by strange herds. They looked up, saw me and recognised me and kept on looking at me." Morris Halliburton, Hallibuton Farms, had a great newsletter this week as always. One topic Morris addressed was that of bull selection . . ."only about 1 out of 125 or more bulls born get to be a herd bull." The rest of those bull calves are destined for a place on someone's plate somewhere in the USA or across the oceans. So it is pretty critical to both small and large ranching operations that a fair price is realized upon sale at the local auction barn, or in sizeable lots sold straight to an order buyers' truck. The value received at the local barn for the small producer is impacted by lots of variables; including the age, fatness, hide color, verifiable backgrounding, and probably the reputation of the seller to some extent. As well, each local barn has it's own variables in terms of facilities. Some barns are equipped and eager to recieve age and source verified cows and calves, which realize a premium in today's beef market -- but most local livestock barns are not. The charming article in the Cattleman Magazine, "A Lifetime of Cow Sense", by By Ellen Humphries, comments on the now defunct National Identification System (NAIS). The veteran cowboy that is the focus of the article, Joe Fenn, correctly foresaw just how unworkable that plan was. The local auction barns would have to participate, and that participation would require technological advancement, and that would require dollars that most local barns could ill afford to part with to comply with the proposed NAIS. Of course, if some of the 2009 stimulus money had been directed to upgrading local livestock barns across the country, providing tax credits to small ranchers for building pens and chutes, purchasing new ear tagging devices as well as the tags -- maybe the federal governement could have accomplished their goal. Apparently, Uncle Sam just wasn't just real motivated. “Here’s another man up the road from where we live. He pens his cattle once a year. We ship the calves and they turn the cows back out. He hasn’t bought a bull in 19 years. The cattle are gathered by helicopter and from the rice fields. Now, how is he going to tag a calf? There are a lot of people who do just like these people. I’d say 40 percent are that way,” from the Coastal Plain up through the eastern part of the state." British White seedstock producers have the pleasure of raising a remarkable breed of cattle, a breed so uncommon that it is not often seen in larger numbers at most local auction barns in the USA. When you consider that typically . . ."only about 1 out of 125 or more bulls born get to be a herd bull.. .", then the issue of realizing optimum fair value for those "herd bull" quality animals becomes one of great economic importance to the seedstock producer of rare British White cattle. The feedlot industry today is operating on very slim to none margins, as I noted in a blog a week or so back. So risk taking by livestock order buyers on beef calves of a breed they aren't familiar with, is undoubtedly less likely to occur in today's economic environment. Given that it is only the very few bull calves that ought to make it in life as a "herd bull", then British White seedstock producers have a ready supply of bull calves that ought to be steered and directed into a value-added beef program, or to participation in official feedlot tests for documenting carcass traits and value. Both would work toward realizing better value and perhaps more importantly, increased demand, by the commercial beef industry for your herd bulls through the documented carcass results -- as well as better value for your steer calves at your local barn. Documentation and education is a wonderfully influential marketing tool. The establishment of 'regions' within the membership of the BWCAA will be discussed at the next annual meeting, scheduled for September 18 in Minnesota. It may be that through regional groups of British White seedstock producers, we can accomplish feedlot testing of our steers and establish regional value-added programs for marketing our beef calves, and maybe even with some financial assistance from Uncle Sam. The USDA via the Rural Business Cooperative Service has a Value-Added Producer Grant Program, established in the year 2000, to help producers move into value-added agricultural enterprises. A Certified British White Beef program wouldn't be a fit with the requirements of the grant program, but a Certified British White Grassfed Beef or Certified British White Natural Beef, would perhaps meet the requirements of the grant program as they would be value-added. Grant funds are available for 'planning' as well; which includes studies, etc... With a 'planning' matching grant, we could feasibly accomplish feedlot testing to determine which British White genetics perform the best under either a Grassfed or Natural approach, or both, as well as to help establish minimum carcass quality parameters for such programs as is typically done by other breed associations with value-added beef marketing programs. This USDA program is a matching funds program, and is available to individuals and groups, including some non-profits. 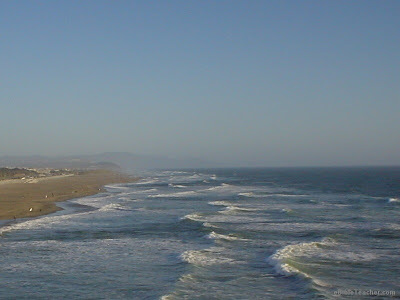 "Planning grants of up to $100,000 and working capital grants of up to $300,000 to successful applicants. Applicants are encouraged to propose projects that use existing agricultural products in non-traditional ways or merge agricultural products with technology in creative ways. Businesses of all sizes may apply, but priority will be given to operators of small to medium-sized farms operating as a family farm – those with average annual gross sales of less than $700,000."